I thoroughly enjoyed Kally O'Mally's previous release, Easy Money. 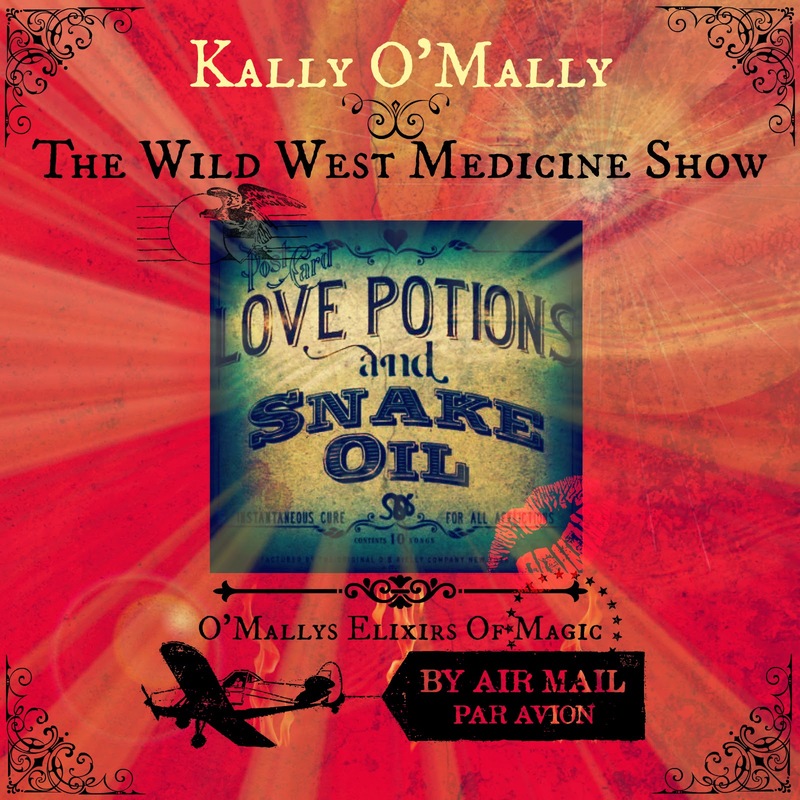 Apparently, my remarks about my apathy towards straight women (again -- I'm really sorry, ladies) inspired O'Mally to write The Wild West Medicine Show, what has a noticeable lack of love songs but a lot of songs about having a grand old time. So, actually, I'm not that sorry at all. O'Mally recorded and produced the entire album herself in just two weeks. The production is lush with layers of music. O'Mally avoids falling into cheesy territory and instead creates a soundscape that transports us into her world. The tagline for this blog is "music like your life depends on it" and that slogan is evident here. O'Mally poured her heart and spirit into Wild West Medicine (just like she did for Easy Money) and it pays off. This time around, O'Mally took more sonic risks but her instinct and restraint give us an adventurous new album.